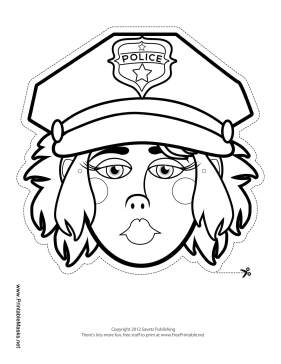 This blank police officer mask has a big hat with a police shield on it. Her long hair and big lips will be extra fun to color in. This mask is free to download and print.